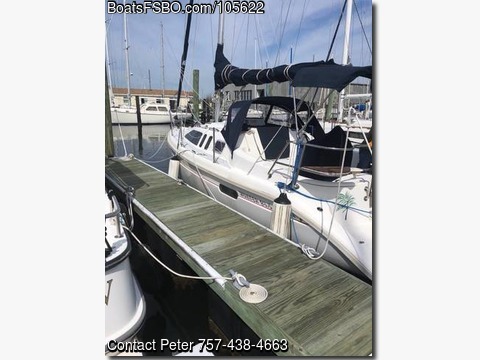 Contact the owner at 757-438-four six six three...Often used in good condition Seascape is in the water and ready to go! Motivated sellers because have a new boat. Newer dodger (16), Bimini, connector (at anchor). 100 watt solar panel. 7” Echomap chirp 74 cv chart plotter (18), main (16), Jib (18). Portable a/c unit. 6 gal hot water, ice box, sink and microwave. Sleeps 6 with queen size berth aft and separate marine head, sink and shower. Stern seats with walk through transom with storage and seats and hot and cold water. Cruise and set Bruce and fortress anchor then swim.